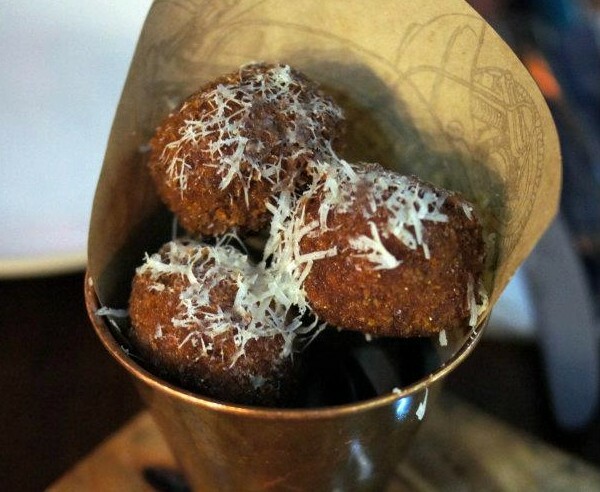 Our first dish we ordered above was the Smokey Arancini with Truffle and Parmesan. I loved the entree, the size misleads you though because it’s actually lifted up by newspaper 🙁 On the bright side it was perfectly crispy on the outside and creamy and delicious on the inside. The most spiciest pasta I’ve ever had, but surprisingly addictive because it had a nice taste to it regardless. 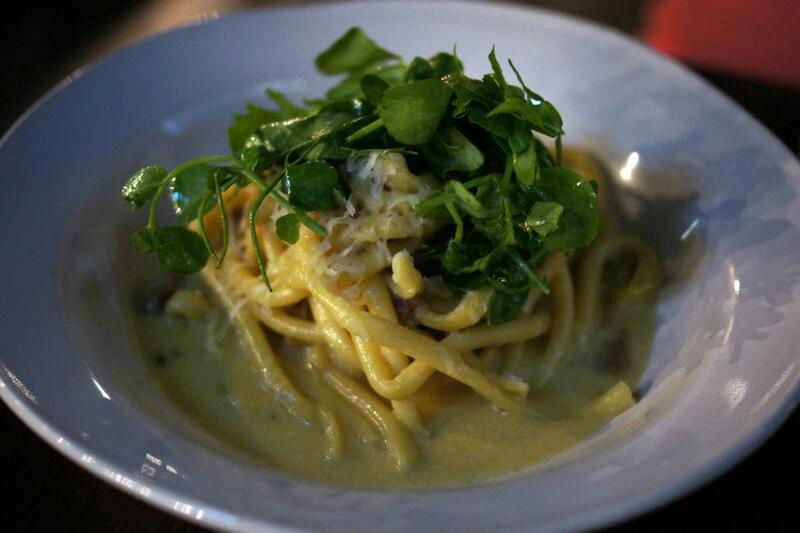 Kind of miss the creaminess of most other pastas but it was great! And here comes the cream! 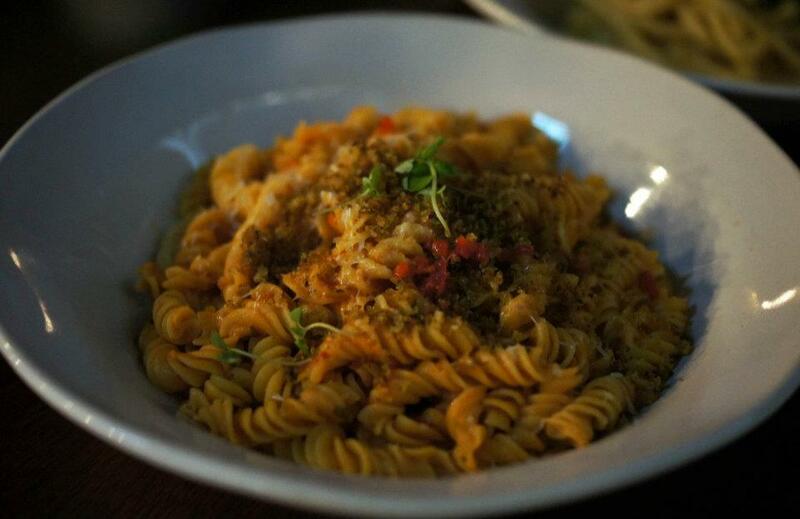 Very authentic tasting pasta, freshly made and not too salty and not too bland. Would love to order it again in a main size, this was an entree. 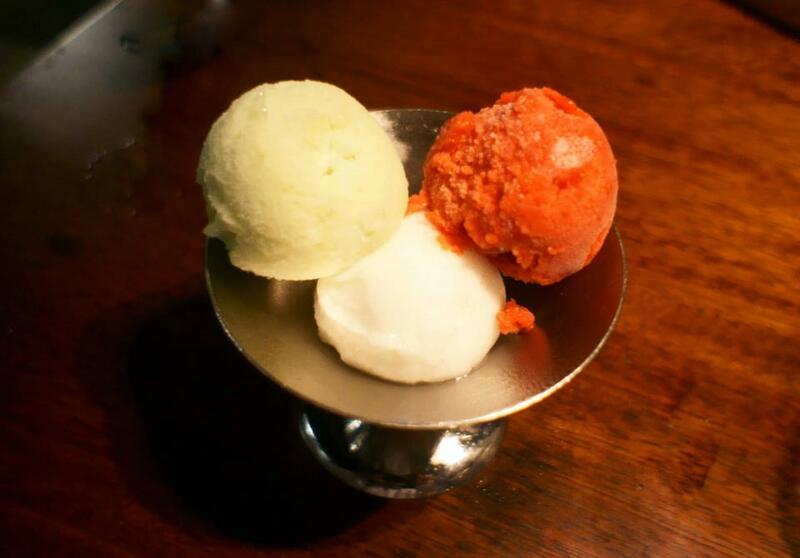 Green Apple, Raspberry and Lemon Sorbets. Very nice authentic sorbet, there were still traces of the fresh fruits used in it so it tasted much better than your average ice cream, flavors were very nice and the green apple was a stand-out. Jamies Italian will definitely be the most talked about restaurant in the coming year and for good reason. The food is delicious and priced well below the competition and has the advantage of a celebrity chef.